Hello there and happy Sunday!! I’m happy to be here again with another book that will come to you this Tuesday. Thank you to the publicist for sending me an early review copy! This in no way affected how I read and reviewed this text. From debut author Peter Stone comes a heart-stopping, pulse-pounding political thriller that’s perfect for fans of Ally Carter and House of Cards. 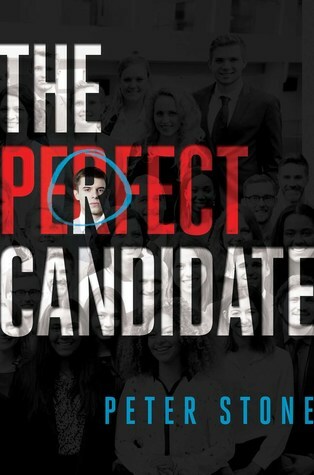 When recent high school graduate Cameron Carter lands an internship with Congressman Billy Beck in Washington, DC, he thinks it is his ticket out of small town captivity. When he lacks connections and Beltway polish he makes up in smarts, and he soon finds a friend and mentor in fellow staffer Ariel Lancaster. That is, until she winds up dead. As rumors and accusations about her death fly around Capitol Hill, Cameron’s low profile makes him the perfect candidate for an FBI investigation that he wants no part of. Before he knows it—and with his family’s future at stake—he discovers DC’s darkest secrets as he races to expose a deadly conspiracy. If it doesn’t get him killed first. This book was pretty good overall, but slow paced in the beginning. It was really hard to get into at first, so I think that’s why I rated it lower than a four. I had a hard time getting used to Cameron’s voice, and I didn’t quite mesh with it. This story starts right away with Cameron taking a taxi into Washington D. C. I really liked that Stone included a character from Cameron’s past so it threw a potential ally to him. Right away you could tell that Cameron was an outsider to this world. Something that confused me was why he arrived later than his housemates. Right away I liked his housemate Zeph. I could tell he would be a fun character throughout the novel. The mystery portion of the book doesn’t start until a few chapters in, and I was curious to see how things would go down. I was sad to see Ariel go because she was a cool character, but I knew going into it to not get too attached to her. I feel like the investigation portion of the book could have been more compelling. I wasn’t as invested as I felt that I should be. I think part of it could have been that I didn’t really connect with Cameron’s voice. Something really surprising was the ending. I think this leaves the opportunity for a sequel in the least, if I got the final reveal correctly. Overall, this book wasn’t too much for me, but I really think this could be a good book for someone else. I recommend you give it a try! Hi!! I know I haven’t been very active, but I’m breaking my silence to talk about this truly incredible book I read. 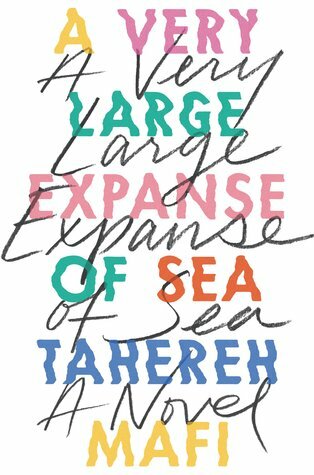 Minutes ago I finished reading A Very Large Expanse of Sea by Tahereh. This is the author’s contemporary being released this October. Let’s jump right into it! Wow, I don’t even know how to begin to articulate how much I love this book. It is one of my tops reads this year for sure. It is incredible and raw and nothing I’ve read before in my life. Shirin is a character I fell in love with right away. Sure, she could have handled her relationship with Ocean much better, but to be frank, I’m not sure I would have done much different in her position. It’s very hard to get out of your own head a lot and to have to do it while facing so much prejudice is harder. I know that Shirin acts immature, but isn’t that the point of the story? Isn’t she supposed to grow from the events in the story? She’s also only 16. She’s had to deal with a lot in those years, and it’s not getting any easier throwing in the hardships of being a teenager in general. She’s someone you can relate to even if you don’t directly identify with her background and heritage. Ocean was a lovely character contrast for Shirin. He was constantly breaking down her barriers which forced her to rethink the way she viewed the world. It was great seeing how their interactions pushed both characters to face things they were afraid to. For Shirin, it was her anger at the world. With Ocean, he had to see the uglier side of the world that he hadn’t been privy to from his place of privilege. The breakdancing aspect of the book gave space for Shirin to be herself and let go of things. I know it’s something the author loves deeply and it is conveyed well through Shirin. This story was very personal, and you can tell by the rawness of the emotion and how real they felt. That’s not to say that every story isn’t personal to the author, but this one especially shines through as one. 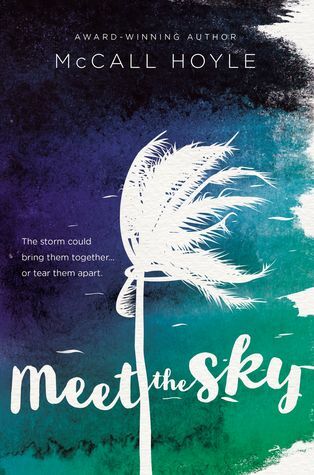 I can’t wait for you all to read it this October! Make sure to go pre-order yourself a copy and give them both a lot of love!! !